Optional campus tour, information session, and lunch starting at 10:00a.m. Whether you are new to the position or a seasoned veteran, this goalkeeping clinic will help you refine your fundamentals and raise your game to the next level. We will touch on every aspect of goalkeeping including, Hand-Eye Coordination, Reaction/Quickness, Footwork, Stance/Positioning, Save Technique, Shot Stopping, Clearing, and Communication. Coaches who work with goalkeepers are invited to attend as well to review the basics, share knowledge, and get new ideas/drills. 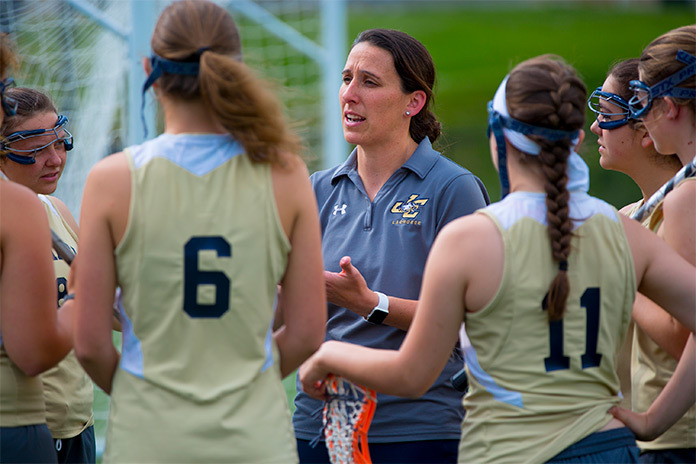 Players, parents, and coaches who are interested in learning more about Juniata College are invited to take part in a campus tour and Admissions information session starting at 10:00am and have lunch in Baker Refectory before the clinic. In her Mountaineer playing career at Mount St. Mary’s University in Emmitsburg, MD, Radio was a two-time Academic All-America First Team selection, named All-Northeast Conference (NEC) three times, including being named to the First Team twice and earning Player of the Year honors in 2004. She finished her career as the all-time leader in saves at The Mount, totaling 770 from 2002-05, a mark which ranks 22nd in Division I history. Radio is also The Mount’s career leader in minutes (4,342:50) and wins (41) while leading the NEC in saves percentage three consecutive years. In addition to being named All-NEC First Team and NEC Player of the Year in 2004, she led the conference in goals against average and save percentage and totaled a school-record 225 saves. A starter in 74 of the 75 games she played in at Mount St. Mary’s, Radio currently holds four of the top-six records for saves in a single-season. She was inducted into the Mount Saint Mary's Athletic Hall of Fame in January 2016.